I have bought something with iDEAL. However, I did not receive my ordered goods or service. What should I do? The chosen payment method iDEAL is completely separated from the actual delivery of the goods/service, just like other payment methods. You can not reverse or revoke iDEAL-payments. Once you have given your approval for the iDEAL payment, this payment can not be undone by you or by your bank. This works the same as a PIN-payment in a physical shop. When you have a complaint about an order, for example about the delivery of a product, you can contact the company where you have placed the order. Together you can try to solve the issue. If this is not working, you can contact the C2C-provider if it is a payment between consumers. You can find this C2C provider on your bank statement. Please note: We strongly advise you to not perform a payment using a C2C payment request when you do not know and/or physically meet the payee. In these situations, please use a specific service that minimizes the risk of not receiving the product/service. Good examples are Gelijk oversteken of Marktplaats, de Pakkie app en Gelijk oversteken of PostNL. If it is about a payment to a company, please consult ConsuWijzer.nl for practical advise about your rights as a consumer. You can also use the complaint form to submit a complaint about the company. Regardless of the payment method that you chose, you have certain rights as a consumer. According to the rules “aankoop op afstand” there are separate rules and regulations for online ticket sales. Do you think you have been scammed? Please report this to the police at the ‘meldpunt Internetoplichting‘. Are there currently technical problems with iDEAL? Are you currently experiencing issues/problems with an iDEAL-payment? Please consult our iDEAL-availability page or the website of your bank if there are or have been issues with iDEAL. The company claims that it has not receive my payment. What should I do? the date/time of your payment. You can find this information combined in the description of the specific payment. The company can and must solve this issue for you, because you have proof of the payment being successful. If you are not able to solve the issue together with the company, please contact your bank. Your bank must help you to investigate what went wrong. Also in this case, please make sure that you have the iDEAL-transaction number (16 digits) available. I made a payment to another consumer via an iDEAL payment request, but I did not receive the product. What should I do? You cannot reverse or revoke iDEAL-payments. Once you have given your approval for the iDEAL payment, this payment cannot be undone by you or by your bank. This works the same as a PIN payment in a regular shop (Point Of Sale ). When you have a complaint about an order, for example about the delivery of a product, you can contact the other consumer. Together you can try to solve the issue. If this is not working, you can contact the C2C Provider. You can find this C2C provider on your bank statement. I have asked the company/webshop for a refund, however I did not receive this yet. What should I do? In case of a return the merchant has to credit you via an irrevocable SEPA Credit Transfer, not depending on the original iDEAL transaction. Handling refunds is not part of the iDEAL scheme. If the merchant has indicated that they have refunded the transaction, they should have refunded it via a Credit transfer. If the merchant has refunded the transactions, you should receive the money the next business day into your bank account. We recommend that you contact <merchant> and ask them on what date they have created the Credit Transfer. If the Credit Transfer was successful, the merchant can provide you with a payment confirmation, containing your account number and the date of the Credit Transfer. If the merchant does not want help you, we recommend that you file a complaint with the Consumer and Market Authority (www.acm.nl) using the complaint form of ConsuWijzer. Is your question not answered? With iDEAL you can make online payments in a reliable, secure and easy way. Payments are done using the mobile banking app or the online banking environment of your own bank. 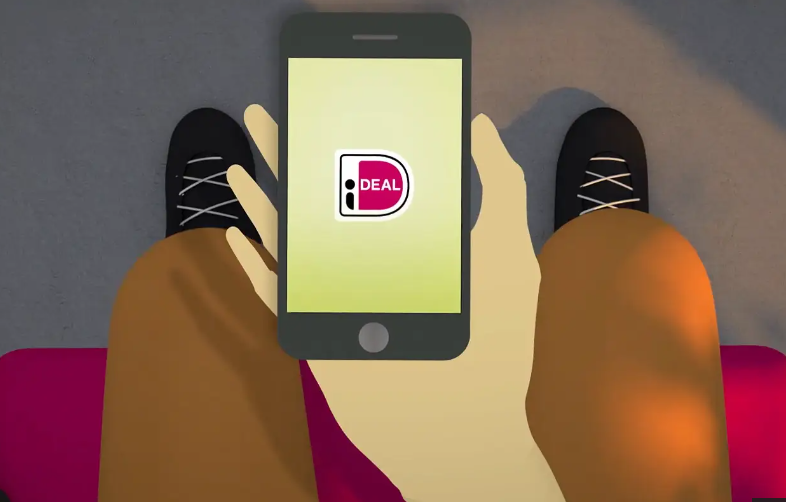 Our animation below shows you how iDEAL exactly works.